What is an "Excel spreadsheet"? 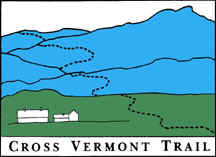 If you have Excel on your computer, just click on the link to a Cross Vermont Excel file. You get a prompt from your browser asking something like "do you want to save or run this file." You can either Save File to your desktop, then open it whenever you like. Or you can Open With Microsoft Office Excel to view right now, and save it to your desktop using the "Save As" command in Excel's menu. East to West statewide cue sheet. West to East statewide cue sheet. However, if all this is not working out so smoothly for you, contact us and let us know. We'll make sure you get copies of the cue sheets and guidebook! Microsoft Office Excel spreadsheet is a computer application that simulates a paper, accounting worksheet. It displays multiple cells that together make up a grid consisting of rows and columns, each cell containing either alphanumeric text or numeric values. A spreadsheet cell may alternatively contain a formula that defines how the content of that cell is to be calculated from the contents of any other cell (or combination of cells) each time any cell is updated. Excel isn't free, but feel free to research other options that might be. Let us know if one of them works . . .